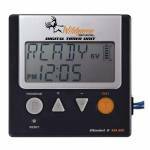 Extra large viewing screen on the Boss Buck timer allows users with corrective lenses to change time and function easily. 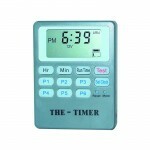 This timer is so easy to use that the directions are printed right on the back of it. Feeding 1 to 6 times per day (1-30 seconds per feeding) In line fuse system prevents the electronics board from being blown from an electrical surge. Runs off the large feeder battery so it never requires an extra battery to maintain it's function. Works with either 6 or 12 volt ..
What does a phone have to do with a deer feeder? You can now trouble shoot, set feed times, and control your feeder from the palm of your hand from up to 150 yards away! NO WIFI OR CELL SERVICE REQUIRED! The receiver installs to any preexisting 6 or 12v feeder, so you just simply connect the receiver wires to your feeder parts, download the app to your smart phone, and you're ready to go! App allows you to: Set feed times, duration, and motor speeds Set seasonal feed schedules T.. 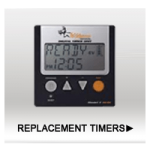 Replace or upgrade photocell and timer kits Programmable digital timer schedule up to 6 feedings a day Customize feeder run times between 1-20 seconds Built-in battery level monitor Installs quickly and easily Works with 6-volt or 12-volt feeders using a sealed lead acid battery Warranty - 2 Years NOTE: This timer will not fit in the Moultrie Easy Fill or Feedcaster Pro Feeders. 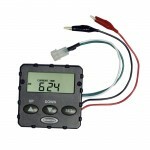 ..
On Time Feeder Clock with Dial and Clips included ..
6v Only Up to 16 Feed Times 1-30 Seconds Easy to View Display Easy Duty 10amp Fuse Protection Test Button Feeding Days are Adjustable Spade Clips for connection to motor, Piggy Back Spade clips for connection to battery and solar panel. 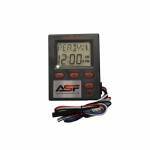 1 AA battery keeps the timer's settings when unplugged from the feeder battery ..
Works with 6v or 12v deer feeders and one of the best timers on the market. 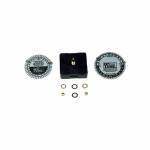 6v or 12v Up to 6 feedings per day 1-30 seconds per feeding Buttons illuminate in dark Battery back up system Protected with 10amp inline fuse 3 Year Warranty .. 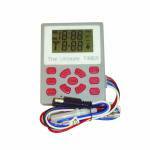 The Original THDT square digital replacement timer from Wildgame is back. 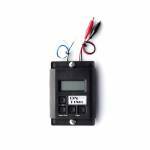 This is the replacement timer for all single motor feeders, 6v or 12v. This unit will replaces the following models PLUS any other brands with single motor feeders. THDT, TDX, THD, XD, XQ, XA, XP, THP, T6DC. Keep your wildlife on a good feeding schedule and you will be sure to reap the rewards come hunting season. 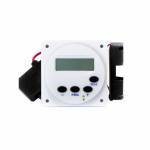 This digital timer is a universal timer that will work with both 6v and 12v single motor deer feeders. ..